Since 2006, dozens of churches have been sealed shut by government officials across Indonesia who fear pressure from radical Islamic groups. As recently as March hundreds of Indonesian Christians on the outskirts of the capital of Jakarta watched in utter dismay as authorities used heavy machinery to tear down the church that they had been locked out after more than 12 years of peaceful services. Let those at the highest levels of Indonesia’s government know that they cannot sit idly by while churches are shut down at the behest of extremist groups. Sign our petition today! Click here to learn more and sign the petition! Kenneth Bae was sentenced for 15 years hard labor, initially no details were released but eventually the government stated he was smuggling anti-government propaganda into North Korea. He is a part of Operation Jericho which was launched by Youth With a Mission in 2006. The purpose of this operation was to form an “anti-government coalition”. Sharing Christian faith in North Korea is dangerous, there is no word on what will happen with Kenneth Bae yet. A pastor, his wife, and two church workers were arrested after their church was raided on their Christmas celebration in December 2011. The 4 were arrested and imprisoned for converting from Islam to Christianity. They were released temporarily but resentenced for one year in prison. In the International Covenant on Civil and Political Rights it calls for freedom of religion, therefore Iran is not upholding their legal obligations. Despite the damage done by Boko Haram in the country of Nigeria, Christians and Muslims are coming together and seeking peace. This past Easter both Muslims and Christians peacefully celebrated together and lamented over the hatred and distrust that existed between the two religions. “We want to break the cord of hatred between Muslims and Christians in this state and in Nigeria at large and we believe that little by little, we will overcome the threat to peace and peaceful coexistence,” said Pastor Yohanna Y. Buru, chairman and founder of Peace Revival and Reconciliation Foundation of Nigeria. Some 300,000 Christians are living as refugees after escaping war and persecution in Syria, Asia News reports. While people from every political, ethnic, and religious background are suffering in Syria’s civil war, Christians have found themselves in a very unique and frightening situation, having widely chosen not to take up arms or to openly support either the rebels or the regime. However, as time goes by, “host families do not have enough resources to help Syrian refugees,” the CNEWA director noted. By contrast, “requests are increasing day by day. Soon no one will be able to afford even the most basic aid.” Christians in Syria also fear they might become a target for Islamic extremists. Praise report: After being abducted in front of Father Paula Church in Shubra al-Kheima on Sunday, a Christian child has been recovered by police. Officials are currently working to return him to his family. Motivations behind the abduction are still not clear, but this incident shows how Coptic Christians in Egypt are targeted for some of the most heinous crimes. The abductors have been captured and will face justice for their crimes. Praise God that the child was found! A Muslim mob attacked Christian-owned shops and a church in the Francis Colony of Gujranwala, Pakistan on Wednesday following a dispute between Christian youth and a Muslim cleric a day earlier. The violence occurred only a few hours after Pakistan’s Supreme Court condemned police for not intervening in anti-Christian riots on March 9 that resulted in some 180 Christian homes being torched in the Joseph Colony of Lahore. The court’s admonishment, however, appeared to be disregarded by police who again failed to protect Christian property from being destroyed by a violent mob, advocates say. Providing assistance, advocacy and awareness to persecuted Christians with integrity towards God and our donors. PHOTO OF PAKISTAN | Pictures documenting the aftermath of Saturday’s attack against Christians continue to flood in from ICC sources on the ground in Pakistan. Click ‘Like’ if you are praying for the Christians who had their homes torched in Pakistan. While persecution of Christians in the world’s most populous nation has changed dramatically over the past three decades, it still occurs on a regular basis. One human rights organization with contacts across China recently revealed that recorded incidents against Christians, including raids on house churches, arrests, and imprisonments, had risen dramatically in 2012 compared with previous years. The Communist government typically uses a more subtle approach than in past decades, but still views home churches as a political movement to be carefully controlled. 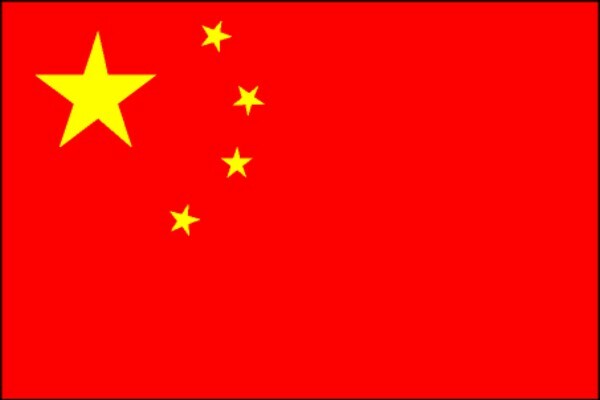 Pray for the immediate safety and provision of believers in China; pray for courage and strength of Chinese believers to first serve our heavenly Father, and to not be intimidated by the will of man. Pray for the Chinese government to recognize religious freedom as a fundamental human right in both word and deed. The Christian Association of Nigeria (CAN) has criticized the proposed plan by the Sultan of Sokoto to bring a peace agreement between Boko Haram and the Nigerian government. The Sultan suggested the government grant ‘total amnesty’ to members of Boko Haram in exchange for peace. This proposal seems to forget that the extremist group is responsible for an estimated 3,000 murders, many of the victims being Christians. How will justice be served if Boko Haram is given total amnesty? What is to stop other extremist groups from following Boko Haram’s example? Pray for those in power to act with wisdom and integrity in this situation, and for the will of God our Father to be carried out. Pray for members of Boko Haram, that they would have radical encounters with the Holy Spirit and their hearts would be transformed. “What is going on in Libya?” Middle East analyst Raymond Ibrahim asks in reference to the rising persecution of Christians in the country. Four Christian foreigners were arrested in Benghazi on February 10. Three days later, two more Christians from Egypt were arrested, one of whom, identified as Sherif Ramses, was reportedly tortured. Three days after that, a seventh Christian, also from Egypt, was arrested. Then, on February 27, at least 48 Christians were arrested (with some reports placing the number at closer to 100), and some were reportedly tortured. Days later, a Coptic Church was attacked in Benghazi and two priests were assaulted. “It is becoming clear that these arrests are increasingly less about actual Christian evangelism to Muslims, and more about Muslim hostility to Christians,” Ibrahim writes. Pray that arrests and torture of Christians ceases immediately; pray for the complete physical, mental and spiritual healing of those who have experienced this horrific situation. 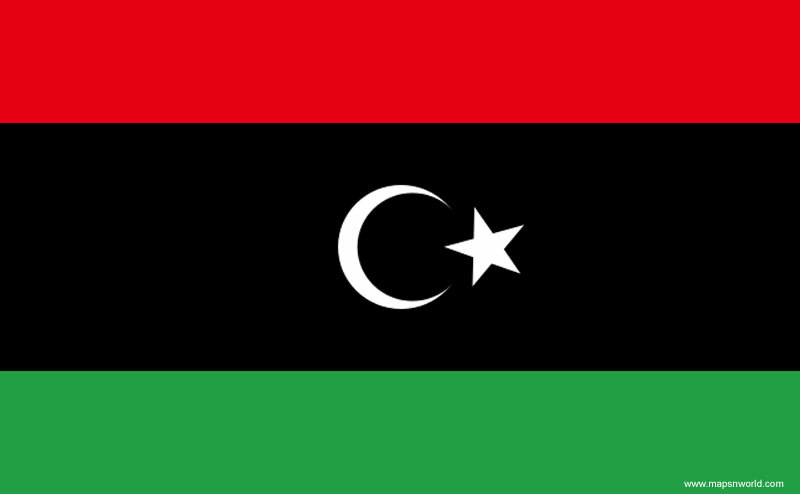 Pray for international pressure to bring safety to all Libya citizens. Praise God that these two boys were released! Pray that this growing trend of blasphemy accusations comes to an immediate halt; that the Holy Spirit will comfort Christians who are terrified of being accused. Pray for greater international pressure to release anyone wrongfully accused and imprisoned. Shahrzad, a 25-year-old woman, and Sam, 27, have been held in Tehran’s notorious Evin prison for more than 50 days, Bos News Life reports. The Christians were reportedly charged with the “formation and promotion of house churches and holding gatherings intended for committing crimes.” It is uncertain when they will be released. “Iranian Christians say the detentions are aimed at intimidating the growing house church movement and an attempt by the government to halt the spread of Christianity in the country, where at least 100,000 evangelical believers have been reported,” reports Bos News Life. Pray for the safety of Shahrzad and Sam, that no harm will come to them during their detainment; pray for the Holy Spirit to comfort them in their time of need. Pray that these two are immediately released, and are not forced to be pawns in the government’s game to intimidate churches, but rather, would their faithfulness be a testimony to the power and faithfulness of Jesus Christ. Another group of Christians has been rounded up and imprisoned by the Eritrean government. Scared of losing power, the government often rounds up and imprisons groups it considers to be a threat, including Christians. Why doesn’t the world care what is happening in Eritrea? Is it too removed from mainstream media? 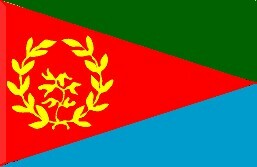 Pray for the immediate release of wrongfully-imprisoned Christians and other religious minorities in Eritrea. Pray for increased international pressure on Eritrea to recognize religious freedom as a basic human right in both word and deed. Libyan Islamists detained 48 Egyptian Christians in Benghazi last week, torturing them and using acid to burn off tattoos of the cross, according to family members. Boko Haram is an Islamic extremist group that is currently fighting an armed insurgency in northern Nigeria. The groups is attempting to establish a separate Islamic state through use of arms. As a part of its operation, Boko Haram routinely attacks and kills Christians. Boko Haram has bombed church services while Christians were present. A government official knew of one of these bombings before it took place and did nothing to warn the followers that they would be attacked. Twenty people were killed in that attack, which could have been prevented. On December 1, a group of Islamic radicals raided the village of Chibok in northeastern Nigeria. The group of radicals, armed with guns, machetes and explosives, moved through the predominately Christian part of the village and began chanting “Allahu Akbar,” meaning “god is greatest.” They broke into Christian houses and proceeded to slit the throats of 10 Christians including one pastor. In a separate attack, three churches, along with a police station and an immigration and customs office were burned down in Gamboru Ngala, another town in Nigeria’s northern regions. Another large group of armed radicals overran security forces before setting fire to the buildings. Iranian Christians and rights activists say a jailed Iranian pastor is facing serious health problems and may not survive the remaining five years of his prison term on “trumped-up charges” of “crimes against national security”. The latest bombing in Nigeria shows how Christians are increasingly suffering for their faith – and how their plight is being ignored. Sister S* (name changed for security) is a devout Christian and Chinese activist in Shanghai who has been campaigning for greater religious and political freedom. Thanks to her outspokenness, her home has been demolished; she lived under house arrest; she served in a labor camp; and she has been tortured by police. Sadly her story is shared by far too many Christians in China who speak up for their rights or even have the boldness to pastor an illegal house church. ICC regularly sends support to the families of Christians such as these, helping to provide for their basic needs while their loved ones await their release from prison or nurture them back to health.